Imagine these two frightened sisters being dumped together out on a ranch in Selma. Abandoned for any reason that is never good enough for this kind of treatment. First of all, these two young dogs were terrified when I first put a leash on them. This is their story showing the power of dog training in home. Dogs will show varying degrees of resistance to being on a leash…especially for the first time. This kind of primal fear is normal for dogs who have very little or no dog training in home. My approach to dog training in home quickly helped transition these two sweet doggies into agreeable domesticity. They both initially fought hard to get loose and run straight back into the open ranch lands where they were dumped. I helped them to calm down and focus and to trust all three of us with dog training in home. I gave their owners the necessary tools to carry forward with all the great progress in just 6 hours. Leash training is the key to communication! These two lucky dogs came all the way from Frightened and into Enlightened. It’s the Way of a Dog with dog training in home! Here’s a link to my first public Behavior Training Seminar. 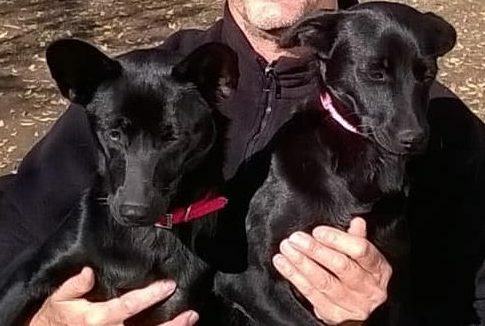 I turned these two wild and frightened dogs into loving and submissive family dogs through calm and assertive leadership while dog training in home. By teaching their new owners my dog training method, they quickly and efficiently began taking their new dogs on walks. As a result, I’m very happy with the progress and so are my clients! 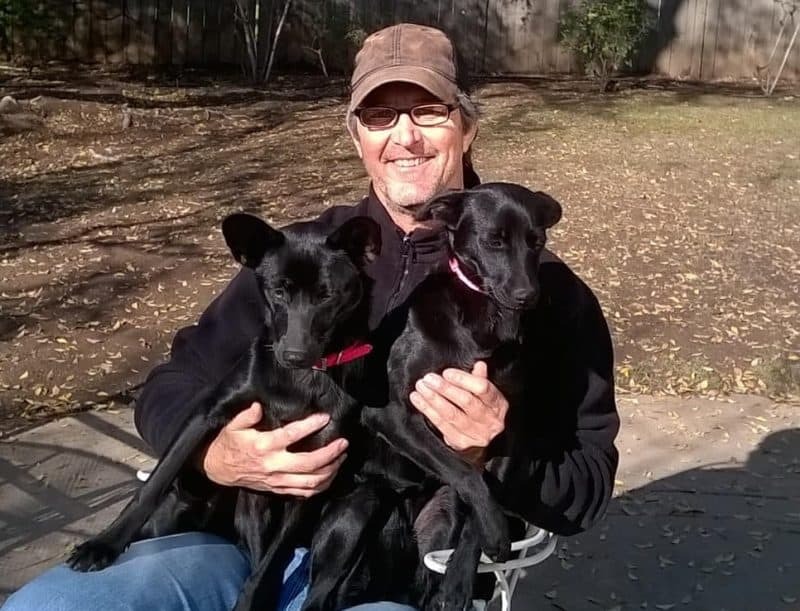 “In two 3-hour sessions” of dog training in home, “Joe turned 2 stray pups my parents had inherited from wild un-leashable creatures into calm, well-behaved pups. He leash trained them and his tips for future training proved very useful. He is amazing.” Alice G. My Reviews page.